Yahoo ! presence is a kind of online status button which indicates the Yahoo messenger status of a webmaster , on his blog/website or forum .On clicking the online status button (usually a smiley) a new window will appear, leading the visitor to Yahoo web messenger . Add Yahoo messenger to a website , you need Yahoo Geocities account .In Geocities control panel select create & update then addons from sub tab . After selecting Yahoo! presence choose a suitable button and copy the code anywhere . Other than presence, there are services like Yahoo search , webcam ,maps,guest book,email form etc. that you can choose if you want them . 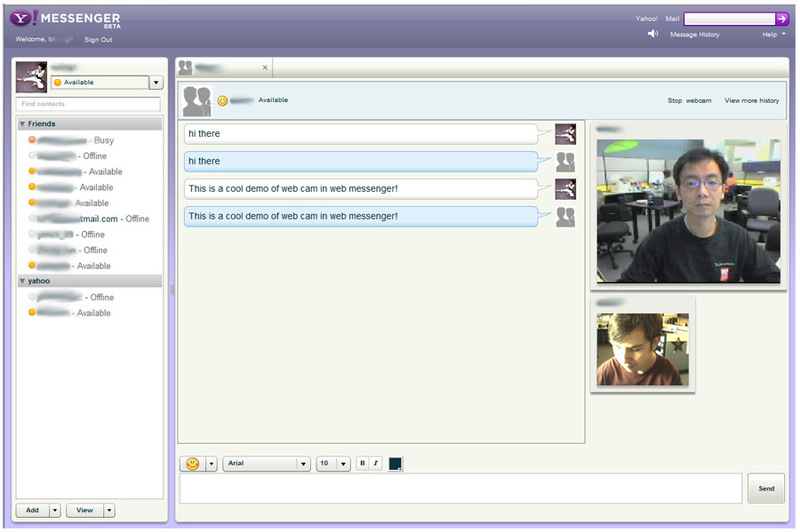 To add Yahoo messenger to Blogger , open dashboard and select the blog where you want to implement the code . Hi…how are you doing? now, I want to know how to put yahoo messenger into my blog.